The beautiful guiding prayer of Maranatha, read by millions worldwide, has been translated into a number of languages, some of which are available to download or buy here. The full text in English is below. Shalom Prayer read over music (Track 1 of the CD). 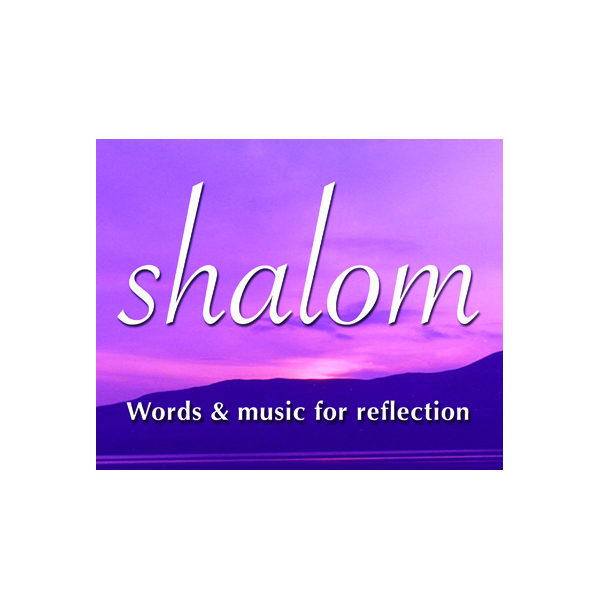 The Shalom Prayer and 17 others read over music. It is suggested that this prayer is prayed slowly and in a place of silence. Every experience in my life is laid before you. and is known to you. and in spite of what I am – You love me. nothing, nobody can remove me from your love. Nothing, nobody can separate me from your love or your presence. and even then you loved me. You knew me and loved me in my mother’s womb. You gave me your life and your love. even in the long hours of the night. You were my companion on the way. I become exhausted on the way. You are the way itself, the Way of Life. I praise and thank you for your presence in my life. I lift up in gratitude all the goodness and all the joy. all that has brought hurt to you and to others. Lord pour your cleansing streams of living water all over me. Make the parched deserts of my being spring to life. Lord breathe on me afresh now and I will receive your life. Lord reach out and touch me and I will receive your healing. Empty me utterly of all the rubbish within me. all temptations, all evil thoughts and desires. take away every hidden fear. That your perfect love casts out all fear. Bring me now into the deep silence of your presence. This moment may every part of my being be at peace. let every part of my body be filled with your Spirit. Take every part of my nervous system. Take each muscle, each organ, each cell. with the reality of your living presence. Help me now to pray – even without words. to breathe out of my guilt and impurity. May I be still and know that you are God. May I be still and know that you are the Lord who brings healing. Help me to hear your still, small voice Lord Jesus. May I now hear your words – ‘peace, be still’. May all my storms subside as I accept your real presence. my feelings of failure and rejection. all my moments of elation and despair. Lord I give you my intellect. the Truth which can set me free, in my body, my mind and my spirit. free from my own selfishness and pride and greed. and walk out into the bright light of your presence. Father, may I now feel the radiance of your love upon my life. Help me to know what joy my response brings to You. Give me the grace in my weakness to cry ‘Abba’, Father. Help me to know that beneath me are your everlasting arms bearing me up. Lord Jesus, be the Lord of my life. I accept your authority over everything I have been, am or will be. I bow down before you. I praise you that you died for me. I too must love myself. my great worth to you. or as a mighty roaring wind. Come and dwell within me. Enable me now to do those things which before were impossible. Glory be to you Father. Glory be to you Lord Jesus Christ. Glory be to you Holy Spirit.